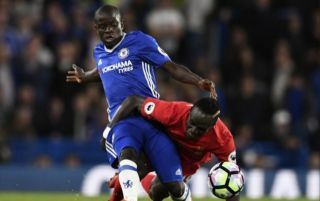 Chelsea superstar N’Golo Kante ‘will think about’ joining the Blues’ Premier League rivals Liverpool, according to a fan who spent the night watching TV with him on Saturday night. Twitter user @jahrul999, who states he is a Liverpool fan in his Twitter bio, posted a tweet on Saturday night, in which he said he spent the night with Kante watching Match of the Day on TV. Another tweet then stated that Kante was asked about joining the Reds by the Twitter user, to which he said he ‘will think about it’. Not to mention he ate curry loooool. Asked him to join Liverpool and he said he will think about it. Chelsea fans certainly won’t like to hear this from Kante, as the Frenchman is one of their best players, and seeing him join a fierce rival like Liverpool would be absolutely heartbreaking. The French international is a vital part of Chelsea’s first team, and this certainly won’t fill the club or fans with confidence that Kante’s heart is 100% focused on the Blues. All things aside, it’s awesome to see a player so famous as Kante go to a fan’s home and spend the night with him, which is something that we would definitely like to see other players do in the near future. One of the main things to take from this: N’Golo Kante is an absolute legend.